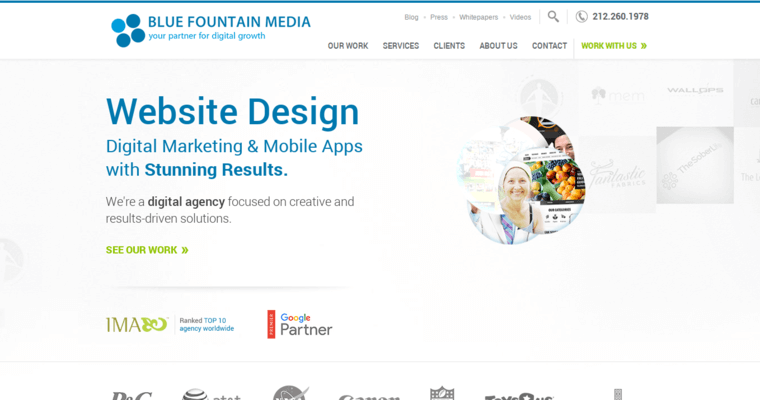 Blue Fountain Media is a digital marketing company headquartered in New York City. With over 250 employees across many offices, they start any digital marketing strategy by ensuring that a client has a professional website that represents their brand well and that excels at converting visitors into customers. 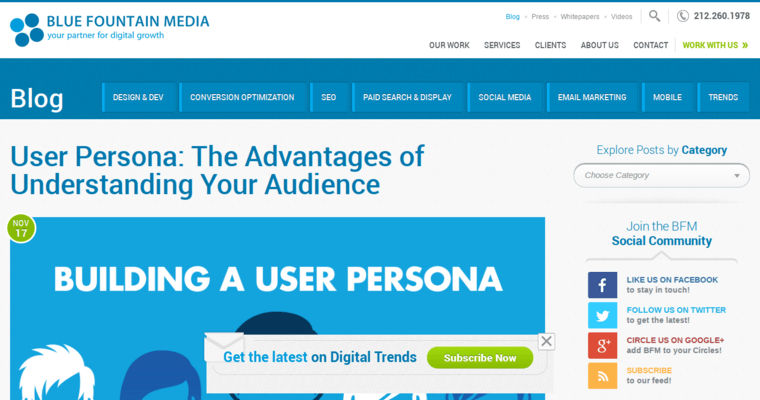 They can either do a brand new website or do a redesign of an existing website that is sure to boost conversion. Their talented team incorporates all the elements into their websites that search engine algorithms like to see, so they will have their webpages ranked above the client's competitors under keywords that bring in targeted traffic. Beyond web design and SEO, they offer complete digital marketing services such as paid search marketing, email marketing and social media promotion. 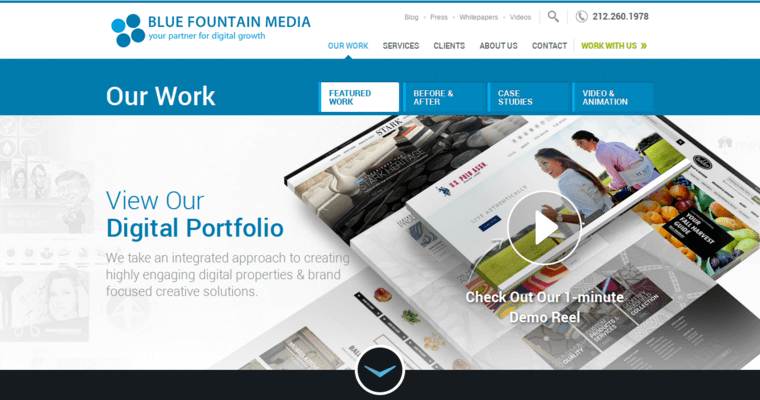 Blue Fountain Media has impressive case studies that show how much their website redesign and digital marketing services have boosted their client's traffic, conversions and sales.